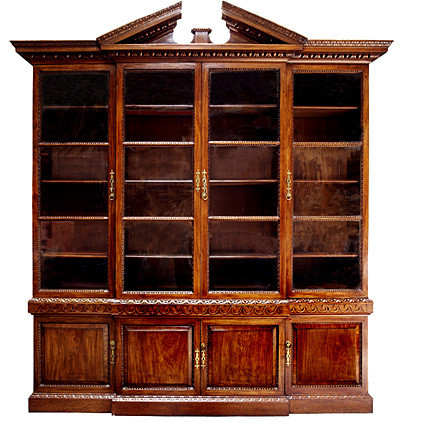 Pictured is an original mahogany breakfront library bookcase, George II, c.1740 from the Collection of Mr. and Mrs. Gordon Getty San Francisco. 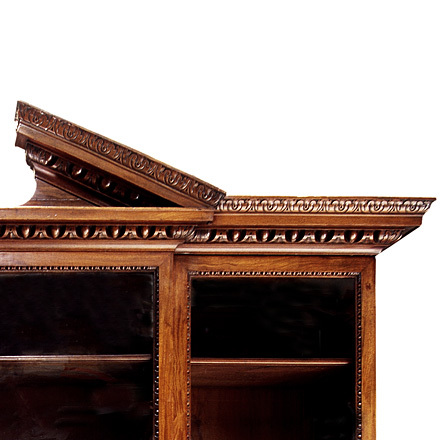 It features an architectural cornice with egg and dart and leaf-clasp-carved moldings over squared molded glazed doors and egg and dart molding over a frieze of Vitruvian scrolls. 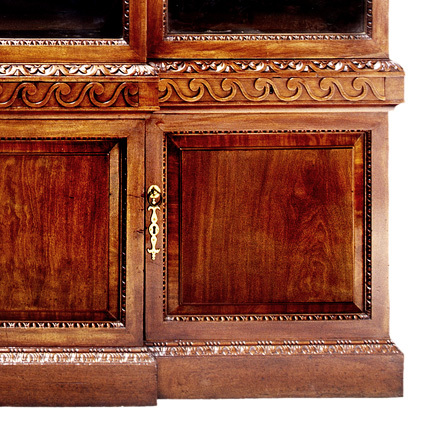 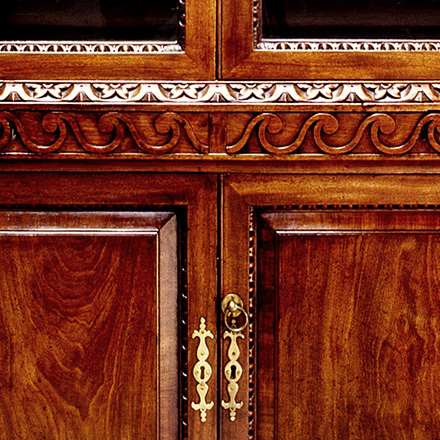 Available Finishes | Mahogany as shown, Walnut.